Sean Figaro returned to his former Canarsie home with a canister of gasoline after he fought with his old housemates, said the FDNY. CANARSIE, BROOKLYN — A Brooklyn man set fire to his former home in attempt to murder the 16 people who used to be his housemates, according to the FDNY. 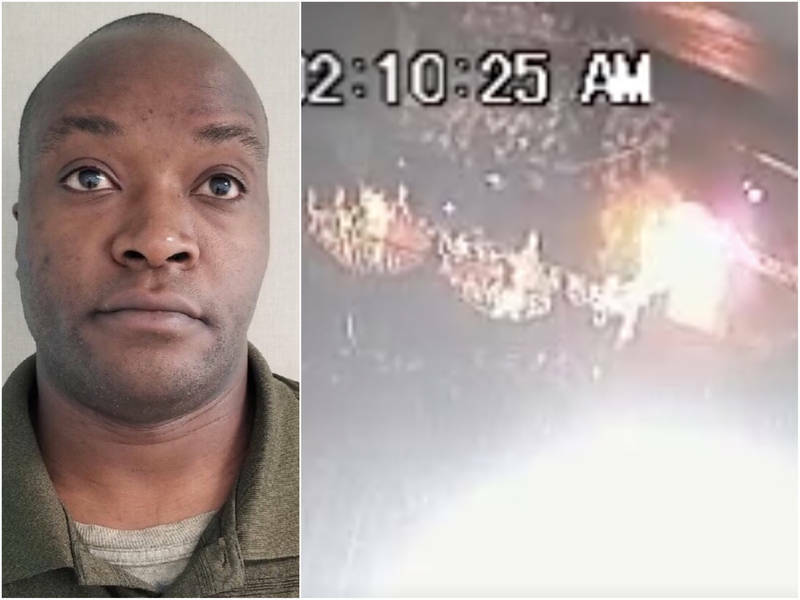 Sean Figaro, 37, was arrested after he doused the three-story house at 622 E. 80th S. with gasoline at about 2:20 a.m. Monday, after a fight with the people who lived there, said Fire Commissioner Daniel A. Nigro in a statement. Investigators found surveillance footage of Figaro walking away from a nearby gas station with a red canister then running from the East 80th Street house after it explodes in flames, said the FDNY.